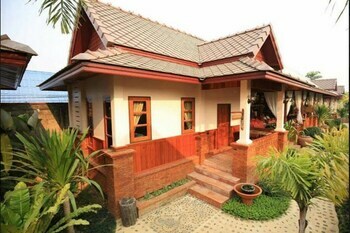 With a stay at Bantham Hill Homestay in Mae Sai, you'll be 11.3 mi (18.1 km) from Mae Fa Luang Botanical Garden and 11.4 mi (18.4 km) from Doi Tung Royal Villa. With a stay at The Fine Place in Koh Samui, you'll be within a 10-minute drive of Fisherman's Village Plaza and Bangrak Beach. Free self parking is available onsite. With a stay at M Gray Hostel & Cafe in Bangkok (Khlong San), you'll be within a 15-minute drive of Wat Arun and Grand Palace. Featured amenities include luggage storage and laundry facilities. Located in Bangkok (Bang Rak), The Sunrise Residence is within a 10-minute walk of Canadian Embassy and Silom Complex Shopping Mall. The front desk is staffed during limited hours. With a stay at Baan Im Em in Koh Lan, you'll be a 5-minute walk from Na Baan Pier and 15 minutes by foot from Ta-Yai Beach. The front desk is staffed during limited hours.